Fujifilm has said it will provide a 'definitive solution' to the white orb blooming problem on its X10 enthusiast compact camera. No further details are available at this point but Fujifilm UK, speaking at the Focus 2012 show in Birmingham UK, said that it is aware of customer concerns and that there will be making a full statement on March 12th. Click here to read our findings about the problem and the initial firmware attempt to resolve it. Ain't this the announcement ? [...]We will also develop a modified sensor, which will more universally resolve the ‘white disc’ blooming effect in all modes. We are working hard to make this new sensor available from late May 2012. Look, this site claims that an announcement was coming today, so I'm expecting one today. If no announcement comes today, that will prove to me once and for all that...well, you know. No pressure DPR, but your credibility is on the line. All eyes are watching. Be careful when you claim to scoop something. So tomorrow instead of today? It is just 05:15am (12/03/2012) in Midway Islands + tweet posted 2 hours ago = maximum 3 hours delay. @amonrei Hello. There should be an announcement within the next 24 hours. I am a retired amatuer photograher, and over the past 55 years I have owned many cameras from full frame DSLR's to compacts. I have had four Fuji cameras (including an X100, which I returned) and I own an X10. I have been following this forum on the Fuji x10 problem with much interest, there must be thousands of people like myself who have never taken part in this discussion but are awaiting the outcome. I, like a lot of others are waiting for the announcement from Fuji promised for today 12.3.02. Should this statement not arise then may I suggest that DP review take some responsibility (as they printed this article) and print the full review of the X10 warts & all includinga statement that they had been misled at the Focus 2012 show. just like the the 182 days before and after this day. FujiFilm has been screwing me since the *first* SAB problem of my X100 arose. They caught me twice on that one. They have succeeded again with the X10 orb issue. Let the ax fall down on FujiFilm! I have been told that the announcement will be made at 8:00pm UK time! Where does that information come from? Anything official? It is now 735 UK time. Lets see if your'e right in 25 minute amigo. OK..gotta ask now. !2th of March in what time-zone?! Just installed the new Fuji X0 firmware: it works! Orbs are not a big issue for me but I can understand how it can be for some. It's only natural to want Fuji to fix it. "It's only natural to want Fuji to fix it." Then why did Fuji deny it and lie about it for so long? It's half-way though 12th of March here! Drums ok, but leave the lights off, X10 dont like lights !!! Hi shutterbobby- FUJI will have to try and sell their stocks of X10 at cost if them don't sort out it's problems !
" What are they going to do about the many X10 's already in the hands of end users ?" Weep into another beer dude. - I bought my camera at C.H.--- selling cameras is not the important thing here - maybe they are happy just selling cameras that people ask for ! Ask the salespersons if they have bought a X10 and report back here tomorrow with the stats and the branch of C.H.- I'm very keen to hear from you! "Fujifilm has said it will provide a 'definitive solution' to the white orb blooming problem on its X10." Wow, more "STATEMENTS" from Fujifilm will be forthcoming on this -- good!!! We do not have quite enough statement of this sort in the world, that's for sure. A friend of mine had just found a definite solution for this X10 problem, BTW. eBay. People keep asking why anyone would want to photograph street lights and light sources. Pictures my X10 can't be trusted to shoot. Don't be sad, poor self-deluding Max/Crash/Digby. I am happy to let viewers trust the evidence of their own eyes. And actually I have done very little noise reduction here, as the detail shows to anyone who actually HAS eyesight good enough to know an orb when they see one. Oh, and incidentally, I have rarely if ever needed to post on the Panasonic forum. THIS camera isn't ideal. But it works. Unlike the X10. So your attempt at an "insult" could hardly be more misdirected. Has anyone been able to find a separate confirmation other than DPR about this so-called announcement? I've been told it was FUJIFILM U.K. 2 IC who made the statement at FOCUS 2012 - and that one other UK photography magazine reported the statement ! (aka) Defy the finite camera. Hopefully , because selling a faulty camera without warning prospective buyers beforehand isnt very smart at all is it ? They knew about the problem from the start and let it go !!! I don't understand why we have to wait till 12th March for further information. I have waited long time for such kind of camera and I surely will buy it. White orb problem doesn't matter for me, if picture quality is better therefore in certain other conditions. But it doesn't make sense to buy now before having heard their statement, whatever this is. Up to now, there is no confirmation that this problem is not caused by contaminated material due to Fukushima. And I can't believe any recall action, because otherwise they would have stopped all sellings in the shops at once. Don't you agree ? Maybe there will be a further firmware update, hopefully not affecting details, noise and dynamic range quality. Because if so, I will have a X10 with current firmware and white orbs! I just feel disappointed that there is no information before the 12th and I do not understand why. Wanted to buy this camera this Saturday, but this is before "information day". We must all die sooner? As a current X10 owner, you'll probably get a voucher from Fujifilm in the mail for one roll of 24 exposure Fujicolor film, would be my best guess. I can't help but think that with all of this (mainly negative) publicity towards Fuji that this could have adverse affects on future sales of the X series of cameras, including the prominent X Pro1. So far it seems that the X line of cameras from fuji are plagued with problems. One can only imagine what the X Pro 1 might bring to the table. It is as if Fuji is being saved by a sinking ship with the X line up. I truly hope Fuji can and is willing to make right what is wrong. IQ wise they are excellent. FUJIFILM to make a written statement that they will offer a " DEFINITIVE FIX " for the X10 on the 12th MARCH - I'm starting to think this just a cop out !! LOOKS LIKE WE WILL NOT GET AN ANSWER TO THIS REQUEST.... BUT THANKS dpreview for your support of us X10 owners and lets hope tomorrow will bring this sad chapter to an end !! No Blooming or White Disc problems with my X10. I am a scientific.biological photographer with over 36 years experience in cameras, optics, macro, micro and digital imaging systems, etc. I have followed this discussion and have owned an X10 for several months now, as a walk around pocket camera. I have not had a blooming or white dics problem, nor have I been able to create the problems if tried. I have extensively test the X10 against my main Canon 5D Mk II and Canon 40D with a variety of lenses and in many low light and super highlight situations. I have no more blooming with the X10 under extreme conditions than with the DSLR Canons. Otherwise the X10 is a great camera, vey well made, good exposures, great sharp lens and excellent IQ. So, I guess I am a lucky SOB or perhaps some of the X10's made it though the quality control gate in good shape. I will be interested to see how the 'X20' compares. Just to try...Have you shot reflective objects on a dark background at low ISO? At the time of the firmware 1.03 "fix" I tried before and after updating and was amazed at how easy it was to produce orbs. Maybe it's the extra 10 years of experience I have, but I would be surprised to find a competent photographer who COULDN'T produce orbs on demand -- almost in minutes. (Or maybe I'm glad I shoot Nikon instead of Canon.) I bet I can get orbs with your X10 with no problem at ISO 100, and we can see them essentially gone at ISO 800. That's not to say that the orbs will rule your life and ruin your photographic karma, but they are so darned easy to produce...And I couldn't make my Ricoh GXR (smaller sensor P&S) produce any under the same conditions. Some of the reaction we see here is way over the top, but the fact remains that the little buggers can pop up. Let's hope for your sake Fuji doesn't acknowledge it's a design error eh? sorry but Fuji havent fixed or released any non orbing X10's and yours will in the right conditions orb just as good as the next. I made series of typical shots where orbs should appear, for example sunlight reflecting on dark varnished and chromised surfaces at 100 ISO and other conditions. No orbs with my X10. Maybe yours isnt a Fuji then because all Fuji X10's orb - period. Its how they are made . Unless you are a Fuji engineer and made your own sensor !! Obviously, this is not the 'definitive solution' -- it is the immediately useful result of applying some of the techniques from my computational photography research. this does look promising, thank you! how would you lessen this ex-orb to be less cylindrical? I think the issue there is sharpening artifacts around the orb. The "enlarge" parameter on the tool can help that a lot. Default is 2 pixels, try perhaps 4 or 5. Turning-up the maximum number of orbs and the orb diameter will get more stuff processed, but often too much more, which is why I set the default conservatively. This guy nakeddork never heard of freedom of speech? Liking my x10 very much! I'm glad to hear Fuji is taking this "orb/bloom" issue and the X10 customers seriously. At $599 the camera has to deliver across the board as a universal solid photographic tool, at least within reason. The bloom problem is too glaring an error in design to support the price point, which is a shame given the unique style, construction and potential of the X10. The X10 should have been a defining moment for Fuji that cements brand loyalty for decades like the f30/31 did, it's possibly too late for that, but I believe a true winning fix would save them face and many thousands of informed customers. GO FUJI, show us that you are truly serious about staying viable in the camera market. Fuji is taking it seriously now because they probably realized that in the age of internet they can´t sell defective products without taking serious damage to their reputation. But by now it is too late, we all saw how they treated their customers. Apparently only when they realized that this mess wasn´t going away by ignoring their customers did they decide to do something. From now on I won´t touch a Fuji camera with a barge pole and I am sure many others feel the same. @Portuense - where do you get hold of a barge pole and how many faulty Fuji cameras do you or did you own? I've been a Nikon shooter for 35+ years, and they (as well as Canon & every other firm) have had faulty cameras, lenses, etc. You're right - in this day of Internet philosophers & great thinkers everything is public - not necessarily accurate. Again - an example of great customer response - when a number of lesser (read - handling) X100 criticisms were pointed out by Dpreview (a real testing organization) Fuji had firmware upgrades in a couple of weeks - correcting the vast majority of minor and larger issues. Not a bad track record. I haven't had a blooming problem with my X10 - but I certainly believe that it exists and many people have been bothered by it. OTOH there must be a few hundred or thousand other happy owners out there?. Meanwhile GaryJP lists EIGHT pretty serious issues - i'll gladly sign a petition to ask Fuji to buy back his obvious lemon. The X10 is defective and needs to fixed - nothing less nothing more !! I always get a major kick out of fanboys of the word "fanboy". Keep fighting the good fight for another faddish ubiquitous term! :-) LOL!!!!!!!! Well it's kinder than braindead. Indeed, but less refined than simply disagreeing without the need for pejorative parlance. I do get a kick out of people using such a romanticized fashionable term to describe people who romanticize a brand or gear. I get it, it's meant to irritate the person you disagree with so they feel less inclined to have a differing opinion, hence being pejorative. It's alright, Fuji says shortly we are going to have a cool camera that can shoot girls made of chrome with incandescent breasts in direct sunlight....that should be awesome! I think "fanboy" is the least of the pejoratives here used to irritate. Two or three posters have been banned for theirs, one appallingly sexist one used against a female poster. And there's the silly: Love my faulty camera or you're NOT a photographer. It's truly tinfoil hat time. As I've said before, I consider brand fanaticism inversely proportional to photographic ability. Not one of the GOOD pros I meet in real life gets into this garbage. He just chooses the tool that suits HIM (or her) and lives with it. Of course, if it doesn't work as it's meant to, and I doubt even Fuji WANTED orbs, that's something else. I belong to quite q few internet forums, DPreview and some boxing forums have the some of most abusive/abrasive vernacular used in order to show disapproval of opinions. I'm not shocked by the lack of respect at the boxing forums, but DPreview is difficult to have an adult disagreement and it disappoints, it's a shame DPreview has to moderate members who refuse to control themselves. I don't care what brand photographic tool I use, I just want it to work reliably and be a decent value. I have Canon, Nikon, Sony, Olympus, Fuji and Samsung digital cameras, some work better than others and I would consider most of the brands mentioned for future purchases...but Fuji is going to have to resolve this $599 "almost cam" if they want to keep customers like me. I'd still rather use my D7000 when dealing with difficult dynamic range, but I want to be able to take my X10 when I want to travel very lightly, and I don't want to be scared to take night shots with street lights. My TL500 does a nice job as a pocket-cam, but the jpg are less than stellar, the camera responds slower than expected and the raw files are too big. It seems everything is a compromise. I hope Fuji proves a bunch of cynics wrong by making the X10 deliver on the promise, but I would not bet the farm on it or anything silly like that. There's a difference between being brand oriented and thinking a brand can do no wrong. I use both Windows and Mac. Both have their issues. I really don't see why more people don't have the sanity to admit it. The x10 is a great camera, it's just out of some people's league. To fully utilize the x10's advanced features one has to have a firm foundation in photography. I definitelly don't recommend this camera for people learning. Get an entry level DSLR instead. The x10 is a point-n-shoot best suited for the advanced photographer or person with a lot of disposable income that uses the auto exr modes. "with a lot of disposable income" = can afford to urinate it away on poor manufacturing and design. Oh, you're crashkills4 today? Whatever happened to Max Metz? you were doing quite well for a while there Dorky boy.... but i'm guessing i have more money than you . I take 4 months paid vacation abroad each summer , can you afford to do that dorky eh eh ??? Dork, you may BE a space cadet. Do try to make it a little less obvious in public. I've stayed out of the whole X10 debate until now (had fun lurking in my breaks, though), but this is just the dumbest thing. My position on the thing has always been that it isn't defective, it's substandard. It works as a camera, it isn't going to get worse with time, and it's good enough for some peopl, but at the same time it fails to meet certain reasonable expectations. End of the day, I won't be rushing out to get one, but orbs aren't the only reason. But seriously, saying that people dislike the camera because it's OUT OF THEIR LEAGUE? Sorry, but this camera isn't anything special. Maybe that argument would hold in a discussion about Leicas or something else in that price bracket and that specialised, but not for a premium compact. Simple fact is, even if it is good enough for you, it's not good enough for a bunch of other folks. "Out of your league" is some serious hipster trash. Will Fuji announce the X10.2 (same as X10 with a new sensor)? Will they recall all the X10 they sold and fix the sensor? doubt a recall,probably the X10 OF(orb free) or X20 or whatever,and current owners can upgrade fro free or small service charge..to $$$ to change all sensors I think..
or they say DON'T SHOOT IN BRIGHT LIGHTS! Too late - the image of the product is settled among the masses and the image of Fuji has been confirmed again - a producer that doesn't care for client support at all...not the best LT strategy. They tried the cheap way with the firmware, didn't work. If they indeed do a mass recall and change the sensor, how the hell is that a proof that the company doesn't care about its customers? I agree - they tried a firmware fix that apparantly was tested about as good as the X10 before initial shipments lol - so Fuji knew the camera had a flaw and also likely knew the firmware update wouldn't work so that does show a lack of care by Fuji IMO. -But- they will ultimately (at least they say) take care of the issue one way or the other so they do get some credability back with that move - how much we'll have to wait and see I guess. Wonder if they would have done anything if the public hadn't made such a 'stink'... doubt it! If they do fix it, the amount of free publicity will have been astounding. Probably more posts on this little camera than any other, ever. Even now, with less than a week to go, people insist on speculating, based on no knowledge whatsoever. Some folks have even decided that whatever Fuji does will be unaceptible, even though they have no idea what Fuji will do. It's obviously not too late for you to use this excuse to bash the X10 again. The image of the product is only settled among Fuji-hating bigots like you. Hard to blame Kitano for the idiocy of such comments as Kayce Bakers, or Fuji deliberately lying to people in the Netherlands that the newer X10s no long have orbs. I am really looking for Mar 12. I own a X-S1 and I am experiencing the white orbs problem too. I like taking pictures at night. The issue causes a lot of troubles when taking pictures in shopping malls with my friends. A lot of orbs with the in door lighting. Before I bought X-S1, I though Fujifilm would have made improvement that white orbs won't occur with this model. I also did not see any complaints from the forum (coz I bought it too soon) before I bought it. 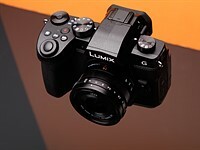 So far I don't see any firmware update for X-S1. I hope Fujifilm would also concern about the customers who bought X-S1, and provide update or recall for this model. X-S1 costs more than X10. Obviously not another firmware upgrade coming because it's quite evident now that the problem isn't going to be fixed that way - and they had very little time to come up with an 'all new' X11- but a modified X10 rebranded as X11 is more likely the announcement. Suddenly the X10 is interesting again! If you have been waiting for solution to fix a camera that you invested A$700 in -It's very interesting ! Why is everybody starting the orb bashing again. Lets wait untill the 12th, than there is sufficient time to waste your time on orb bashing if the Fuji solution is not what you expected. It looks like loads of people have nothing else to do than repeat themselves on an issue well known to the world. And there is no excuse like: Fuji must be made aware of this problem, as they are now. I am tired to read the same mantra all over and over. Why wait until the 12th? You've already made up your mind. Fuji will only make you mad if it caves into "mantras" and admits a "problem." Very likely, whatever the complainers see (let's avoid the word "orb"), it defies a firmware fix. SOME people are orb bashing because a few fools are orb denying. No one should buy this camera without being aware of the issue. Cool...they're putting together recall processes. Good move, Fuji! Fine if Fuji manages to fix this irritating issue. Luckily I've not bought an X10, but at least I might try one if this problem ever gets fixed for real within something like 2 or 3 months. But no word at all about some solution for the Sticky aperture issue with the X100? Fujifilm better not leave these which soon are out of warranty for dead whenever they get problem with the aperture. It's is about time to think about their reputation, escpecially now with the X-Pro1 coming, not to lose faith among existing buyers of the X100 and also potential buyers which already know about the problem. I hope they do issue a real fix as I'm desperate to sell mine. Agreed - I too have held off. With the X10 off my shortlist I continued to dither over the XZ-1 and the P7100. I'll sit tight to see what this announcement brings. On paper and in the hand the X10 is the one for me - but I'm not spending that kind of money until I know the orb problem has gone ( I doubt that my photography would be particularly "orb prone" but it's not a risk I'm prepared to take). If it's not a cure Nikon or Olympus will get my money - they'll just have to wait a bit longer for it. I'm a longtime Nikon SLR/DSLR shooter and was considering the P7000/7100 as well. I bought the X10 with full knowledge of the ORB issue and haven't regretted it. I'll make use of whatever "definitive fix" Fuji comes up with but even if there wasn't a fix I'd still have a great camera with a fantastic f2.0 lens. The P7100 is the "definitive fix" for many of the P7000s problems. Meanwhile my 85mm 1.4 prime will still exhibit some color fringing in certain situations and my 1968 Minolta Autocord will have some exposure shift across its shutter speeds. And I'll adjust to the shooting conditions and the limitations of the tool and make great photographs. I'd recommend X10. The Nikon doesn't have the WDS but it doesn't have the low light capability either. I completely agree Mike. I shoot aps-c, full frame, and medium format as well, and the x10 certainly is a great fit in the line up. It is sad that forums like these diswayed people. Most experienced long time photographers I know that use the camera, love it. Only the gear heads hate it, yet they are absolutely obsessed with it...which says something in itself. It's definitely a different type of camera, which flys above the comprehension of the average gear head...which leaves them baffled and angry. Kinda like when they read a photography book were the author is explaining thought process and approch to how they took a certain picture...and they get mad because they weren't given the paint by numbers recipe, but will never understand that the true artistic value is in the thought process. What kind of lowlight capacity do you have when the only guaranteed way to avoid orbs is to shoot at ISO800 when there are light sources around? What'd the point of a fast lens that's crippled by the need to avoid a sensor fault? I do restaurant reviews. Many of my evening shots of restaurant interiors are low light situations with pin lights and candles. You guys who see only a few orbs should come have dinner out with me. @garyjp, I shot Christmas Eve and Christmas morning wide open at iso 800 and above with OOF Christmas lights in the background. Some with fill flash some without. Macro shots of ornaments with lights reflecting in them. No Orbs. So it meets my low light needs. Interesting. I was planning to buy this camera, primarily due to the optical viewfinder and the fast lens, but the "white orbs" turned me off. So if they indeed have a working solution for this, I might very well get one in the end. But we shall wait and see. I own this camera and I would really like to keep it. I must admit the orbs (which appear in some of my shots even in daylight occasions) are a MAJOR issue. I really hope Fujifilm have a definitive solution for that. FIX IT FUJI - it's worth fixing !! DON'T FIX IT - and all hell will errupt !! Histogram on the X10 is useless. Ords is the issue ! "It was good but Abe fell asleep " - I like it !! Yikes! The sheer emotional response in this thread is amazing! I think I read a dXo report that showed a good dynamic range for this camera but how can that be when it handle (specular) highlights so poorly. Is it that the dynamic range extends into the shadows at the expense of the highlights? I'd be interested in hearing from the experts on this. Love how people quote DXO as an authority when it suits them and dismiss it when it doesn't give the results they like. The x10 also has one of the best lighting capibilites of the majority of professional cameras on the market, including the best medium format cameras. That feature alone more than justifies $600. Of course, people complaining can't come close to grasping that concept, because they have poor photography abillity and the very trivial and small occurance of orbs absolutely cripples their photography. However, people that don't let the camera take their pictures, have advance lighting skills, and enjoy photography love the x10. People unhappy with the x10 obviously bought a camera out of their skill set and should return or sell it, despite the orbs being fixed or not, and buy an entry level DSLR to learn on. To utilize andd appreciate the advanced features of the x10, one has to have a decent foundation in photography fundamentals. And yes, BTW one of the biggest disappointment for me on the X10 is that useless OVF. off centred, lack on any info, 85% only and lens barrel covered up 20 % of the view in wide angle. My good old FM2 and FM3a OVF offered more info and 100% coverage from more than 20 years ago. It is not user error. It is manufacturer error. Anyone with more than two brain cells to rub together knows this by now. Even Fuji does. You got the NEX5n for the same price? Wow... you either got the a great deal for the Sony or got ripped off for the X10 (or both). I guess I could consider the fast-lens point&shoots like the S95/S100, ZX-1 but that would mean doing without the OVF (really don't like holding the camera out at arm's length) OR do without the fast lens & look at the G12/G1X (less low-light shots & minimal bokeh). ... or find out where you got the NEX5n for such a great price! It does not matter what happens on March 12th. If the full statement is an explanation or solution to the white orbs, this is a marketing disaster. Don't get me wrong. I love the X10 and I thought I do not have any problems with the X10. I also had my orbs in the meantime. They annoy me when they occur because they render these pictures unusable... ...and depending on what you take pictures of this is a great number or not.